Although I’ve been bingeing Rupaul’s drag race in the last week or so, my makeup has been far softer and pinker than some of the contestants… I’m going for pink, but nothing too sickly or pastel. I am loving this combination at the moment – pink and then more pink. It’s pretty, it’s fresh, it’s perfect for right now. 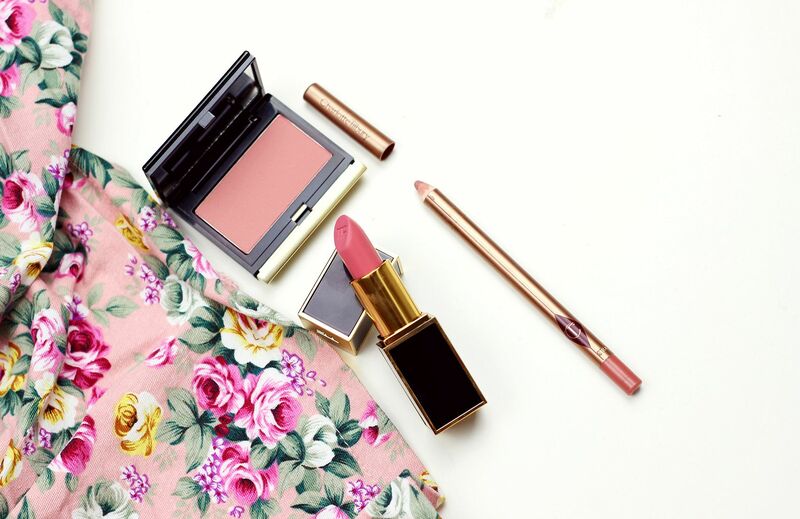 Kevyn Aucoin blushes are seriously good – the peach one, Ariana, is a particular favourite of mine – and this matte dusty pink Helena is the prettiest flush of pink. I quite like matte blushes because they’re easier to sculpt the face with and then it means I can place my highlighter more precisely. I don’t like blushes to look flat though, and the shade of this manages to breathe life into my complexion. I really recommend the Kevyn blushes. To go with the pink cheeks, I’ve been going with the Tilbs lip liner in pillowtalk (which is amazing), and then filling in the lips with Tom Ford in Pink Tease. The TF matte lipsticks are by far one of the best matte formulas out there, and I am working my way through all the shades. Pink Tease is a bright and bubbly pink that adds so much colour to the face without being too obnoxiously bright or bubblegum barbie-esque.